priya saw ram on the podium, he was her love , her man she stared at him long. Memories were refreshing in her, indeed they were the most beautiful time of her life, all her life she faced so much hatred from her mother and sister. They treated her bad. She could not stand there and rushed out , rajath asked her to take rest in his room. She went and collapsed in the couch there, gazing at nothing initiating the memories that were taunting her. When she listen the girls talking about him she looked at his utterly handsome face. Her heart said he is a charming man , her mind say he is a man with good looks and success add's to his personality. She folded the mind vs heart conversation and moved to her cabin. She collapsed into her couch engrossed into some work . she heard a knock at her doors..
"yeah come in . just cut to the point what u want to say" she did even looked at who is standing. She thought might be some student.
" sir U ..! come inside sir please be seated . would u like to have some coffee or tea sir". ram is surprised to see the change in her behaviour. .
" hey excuse me '! R u teasing me priya? " " no sir I mean ram sir I am sorry for my behaviour earlier I called u by name.. so sir what would u like to have? Or u be in the principal's cabin I will.." ram stopped her speech.
" stop it yar.. am ram just ram to u . cut the formalities. Am glad to see u again here and u ,.. ur behaving strange .. for me ur my priya ..uhhh I mean my friend priya" she smiled but concealed her smile in lips.
" no ram .. sir .. ur the ram kapoor .if not sir ill call u MR. kapoor it's the respect I give u"
" I hate my friends treat me like a business tycoon.. if u want to do so then ur hurting me"
" I never wanna hurt u mr.kapoor" he stood in front of her holding her hand. " "then stop being formal priya.. ur my friend let our relation be like it was no formalities.."
They exchanged their contact numbers. Days passed , their friendship grew older and strong. Their day started with a lazy mutual good morning , sharing all the day happenings, teasing , taunting, sometimes meeting. They were really used to each other. Sudhir sensed her daughter is different. She was never been so much happy as she was after meeting ram. One day sudhir and priya went to have dinner in a restaurant which is beach side as shipra and Ayesha were out of town.. Priya love to be there. ram had a meeting in the same place, he was moving out he messaged priya to knw if she can come with him for lunch. She said she is in the hotel with her dad. Ram searched around found priya rushed to her priya gulped a glass full of water seeing ram marching towards he r she tried by all means to tell him not to approach.
" hey may I join priya"
" hey ram .. ! how come u r here". she gave a deadly look to him, ram ignored her and sat along with them..
" hello sir am ram kapoor"
" no sir' am..." priya stopped him in middle..
" what are u speaking. U planned to get married n ur informing me ? is this something like introducing me to ur husband ?" " uff papa aap bhi na .. became just so frustrating and loud like mom .. what I mean I mean is karthik is gonna marry ram's sister. I met them in uk when i went for his convocation . I met nuts too she is lovely girl." " hello madam am here .. too"
" haan papa ram is my friend.. I met him there in uk through karthik and nuts." 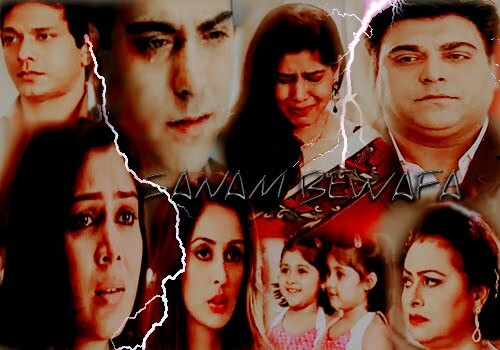 Their friendship grew older as sudhir ji is one familiar with them ram started dropping priya home daily. She never invited him to her house. She never spoke anything of her mother or sister. Priya was badly upset one day. She asked ram to drive her to the children orphanage nearby.
" oh.. god don't tell me priya ur to social service too"
" its true it gives me peace"
" y do u prefer to sound like a alien sometimes" she smiled and was deeply in thoughts. "ram can I expect u to join me there.. I mean if ur ok"
they went inside priya had a cute rose bouquet from a 2 year old girl..she hugged her and took it. And then as she walked she had a group of kids stopped her ,pulled her down all hugged and kissed her.
" oh god I wonder aunty is here! Ram come I have to introduce to my very good friend. All my life I received much solace from her especially this day"
"Arey yaar raam Phas gayi why don't someone shoot me alive like this man .."
"Hey priya are u alright" the very familiar concern filled voice hit her years. It was rajath. "I saw u moving out of the room."